The Key to the Kingdom is a natural (choice) for Disney fans! I have been a fan of anything Disney-related for as long as I can remember. So when I read about a book called ‘The Key to the Kingdom ’ by Jeff Dixon, I knew I had to read it! In this world, Disney trivia is no game…and the ancient key is the only way out. Grayson Hawkes learns how imaginative and elaborate Walt Disney World is when he accepts an invitation that lands him in a world he never knew existed. Suddenly unraveling a perplexing puzzle and trying to solve a mysterious disappearance, Hawkes navigates through the kingdom where knowledge of seemingly unimportant Disney facts, and some divine help, are the only way he can discover the answers and get out. Some of the lines between right and wrong begin to blur, and telling the difference between real and unreal becomes nearly impossible. Loyalty to faith, family, and friends are stretched to the extreme in a pulse quickening adventure through a magical place where dreams really do come true. Jeff s a storyteller. Each week he researches ancient manuscripts and examines them for content, meaning, and understanding and describes his findings, using illustrations, to a crowd of listeners at Covenant Community Church in Central Florida. Some people might call this preaching (but that can sound so boring!). 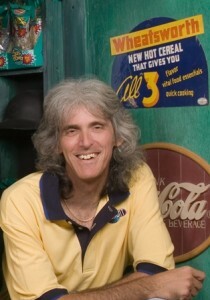 Jeff brings an intensity and passion to communicating that incorporates his early years in Orlando, working at Disney World; his educational trek that landed him at Southwestern Theological Seminary in Fort Worth, Texas; and the latitudinal and longitudinal journey ministering in churches trying to impact the world. Jeff loves living in the heart of Florida with his family, his friends, and his annual pass to Walt Disney World. Key to the Kingdom: Questions Received About the Story from Marc Percy on Vimeo. That passage transported me back to my first visit to Walt Disney World, when I was about ten years old. Riding on the monorail through the Contemporary Hotel and staying at the Polynesian Resort Hotel are two incredible childhood memories. 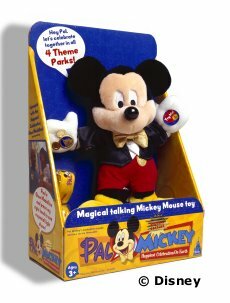 Unfortunately, this technology is no longer active inside the Resort, although Pal Mickey does figure prominently in this book . This book makes me want to book a trip back to Walt Disney World TODAY! The last time I was down there was in January, 2009, when my husband Fred and I participated in the Walt Disney World Marathon (we passed through Epcot, the Animal Kingdom, the Magic Kingdom, and the Disney-MGM Studios). Unfortunately, after crossing the finish line, I had an extreme case of blisters on my heels (picture the skin of a shar pei pup; that’s what my heels looked like! ), so wasn’t able to enjoy the Magic Kingdom after we completed the marathon. I greatly look forward to my next visit there! This book was published by Deep River Books and provided by Bring It On! Communications for review purposes. Have you ever asked yourself if there is a higher power at work in your life? Can you say that you've been still long enough to hear the answer? Be Still and Let God be God can be summed up in one word - patience. Robert Paul Baeyens takes us back to a day in September of 1998. Back to a moment in time when he got a phone call from his sister. In that phone call, she spoke six words that brought him to his knees. Just six: Be still, for I am God. Robert thought upon those words for days. He came to the conclusion that "We must discover how to be still, to cease striving, to clear our heads, to calm our minds, and let God do what He does best....."
What I loved about this book was that the author wasn't preaching. He gives you the information to choose as you see fit for your life. I like how the personal story allows the reader to connect with the author from the very beginning. So essentially, I'm "cheering" him on. I want him to find answers and in turn I am more educated myself. Once I figure out where I stand, then I can teach myself to be happy and to live my life the way I was meant to. Thank you to Bring It On Communications and Arielle Roper for offering this book to me for review! 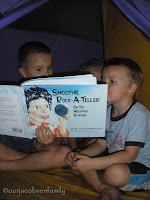 "This author's creativity doesn't stop at just having the story told...." Come read more about Smoothie Rock-A-Teller!! Looking for a new children’s book? How about one that retells a Bible story in a unique and fun way? I’d like to suggest Smoothie Rock-A-Teller on the Whopper Stopper by Dr. Gerald Mittmann. This 52 page children’s book is actually the first of a series of nine books where rocks retell Bible stories from their point of view. 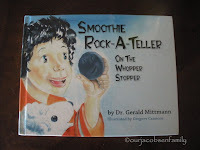 In this book Smoothie (That’s the rock’s name!) tells the story of David and Goliath. 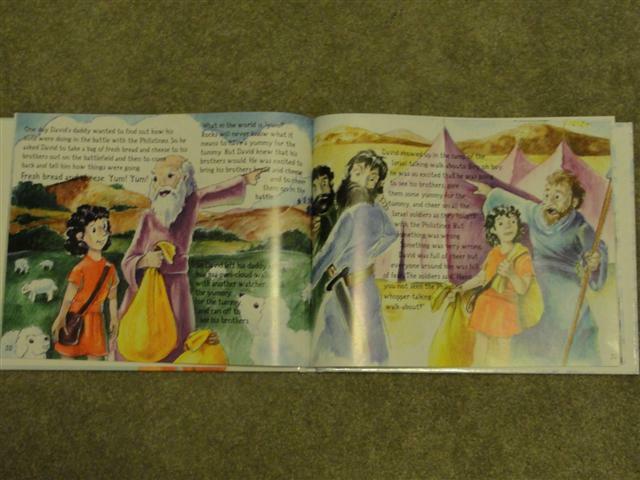 It is a creative twist in telling a favorite Bible story of many kids! The author’s creativity doesn’t stop at just having the story told through the rock’s point of view. He also has his rock character use very descriptive names for every day objects, like “baa-baa-mini-cloud-walker” instead of sheep. This book is written for ages 4-10, and I can see where this would entertain a child and perhaps even help hold their interest. The book is very versatile, however, and I was able to read it to my 2 and 3 1/2 year old, using the actual words, like sheep, so they would better focus on the story itself and not get mixed up with the descriptive language. When I first read through the book I was drawn to the colorful images that filled the pages. My children also thoroughly enjoyed Gregory Cannone’s illustrations. 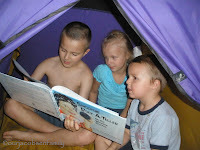 Not only did the illustrations help both my preschooler and toddler better understand the story, but my daughter was able to retell the story later just by looking at the pictures. As a former language arts teacher, I love anything that helps comprehension skills develop. Don’t feel like reading all 52 pages at once? The book is divided into five short chapters, each with a few questions at the end to further engage the audience and promote reading/listening comprehension skills. If you can’t get through the whole book in one sitting, these questions can also help a child refresh their memory on what happened previously in the book. The list price of the book is $12.99. You can find it here on Amazon or at Deep River Books. Divorce. Everything changes;nothing remains the same. Family relationships,friendships,finances,self-esteem,living arrangements,and personal feelings are all suddenly different. Anger,sadness,frustration,grief,and loneliness can overwhelm even the strongest soul. Dr. Chuck Patner is neither a pastor nor a marriage counselor and has no particular expertise other than his own experience. As he wandered down the road of a divorce he never expected to travel,he spent many sleepless nights praying,crying,thinking,reading,and finally pouring his pain into words. In Hope For Trying Times,he shares personal anecdotes and insights to help you navigate the many emotions that divorce brings to you. Daily Scripture readings and encouraging words enable you to find hope for your own trying times.Even Christians are swirling in the maelstrom of divorce proceedings. But with God’s help,you will survive. This is a thoughtful well written book with lots of ideas to help with the problems that arise during a divorce. Even though I’m not going through a divorce I found lots of good ideas to help with everyday type trials. ~I received a Book sample in order to write my review. I received no monetary compensation. All opinions expressed are mine. This book leaves nothing out! There's suspense, thriller, romance and murder mystery! Petroleum exploration engineer Phil Channing uncovers the single largest oil reserve in history–and he’s only been employed for a week. The find is so large that it dwarfs all Middle East reserves combined,and lies so deep within the bowels of the earth that it can’t be reached by any conventional method. He discovers how to tap into this Maximal Reserve through research left behind by a college friend who was brutally murdered just before Phil took the job. The secret lies in the cryptic revelation of a complex of lava tubes on the southeast side of the Dead Sea known as Etsba Elohim–the Finger of God. This knowledge provides the ability to read this incredibly strategic resource and threatens to change the world’s balance of power and wealth in favor of the small nation of Israel. This book was so good I didn’t want to put it down! Oh my gosh,the references to the bible and how they play out was uncanny! And even more disturbing is it could be really happening. This book leaves nothing out, there is suspense,thriller,romance and murder mystery. This book also shows what people can really be like and sometimes it’s not what you think! I absolutely love fairy tale books...love the whole happily ever after and skipping through the flowers feeling that you get after reading one. I am always on the look out for some great children's books to share with our Kids Ministry at church and when I saw this book come through I knew that I had to take a peek at it too. The illustrations are bright and colorful, the story simply sweet and the message at the heart of the book is one that every family will be blessed by. I know the sweet little faces at church are going to love this book and I have no doubt that your sweet little faces at home would love it too! Not far from here lives The Rose Princess in a kingdom ruled by her father the King. One morning she awakes to find a splendid package at the end of her bed full of gifts and a card from her father encouraging her to use the gifts wisely. Unaware of what lies ahead, the princess sets out on a journey of learning and adventure where she meets several people who are in need. Suddenly she realizes that the gifts she has received can help the others, and that she has to make a choice...keep the gifts to herself, or help others by giving the gifts away. 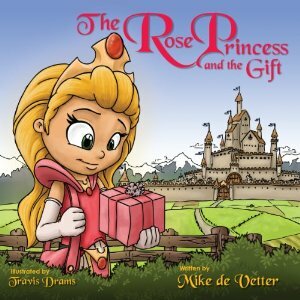 The Rose Princess and the Special Gift is a delightful treasure that teaches children the value of forgiveness and how their decisions can impact the lives of those around them. Husband, father, and pastor in Tauranga, New Zealand. Co-founder Powerzone Productions children's teaching curriculum used in New Zealand. A mysterious Nazi super-weapon, hidden for more than 60 years, has been discovered by members of a reclusive, private think tank and perfected using modern technology. This fully realized and reliable device is so powerful, so provocative, that the basic beliefs of science, history, and religion could be overturned in an instant. After a cataclysmic system failure kills an expedition attempting to return to the year 100,000 B.C., a team of skeptical scientists and adventurers is dispatched to the Antediluvian world-a word that no one anticipated- full of wonder, danger and advanced civilizations that will rock the accepted theories of science and history to their core. However, the team is unaware of another plan that is unfolding; there are people who will kill to use this remarkable machine to further their own plans for our past and future. Sam Batterman makes his living as a software engineer and lives with his wonderful wife, Susan, and their two kids, Samantha and Parker in Southeastern Pennslyvania. Wayback is Sam's first novel, but there will be others. Sam and his wife serve at Valley Forge Baptist Temple in Collegeville, PA. This is my second book by Sam Batterman after the first book I read of his Maximal Reserve, got me rethinking the way of viewing science and history from what we've been taught in school and what the Bible tells us. There are some things we never really quite put together and often take the words of so-called 'experts' as our belief in some things. When I had the opportunity to review Sam's debut novel, I jumped at the chance. His ability to engage the reader with a topic and keep it evolving throughout the book is what will hook you from the very beginning. After the Nazi scientists develop a means of traveling through time in the midst of war, you realize the possibilities can be frightening. When they program the machine to go back as far as we've been taught to pre-history and the stone age, they soon find out the world isn't really as old as they thought. A devastating accident occurs that will lead Admiral Nathan Turner to discover what is really hiding in Area 51 and it has nothing to do with aliens! You can also follow Sam on Facebook by clicking here to see what he's up to next! "This book is a clear inspiration for everyone" - says Jayda, a blogger who read The Son in My Eyes. This summer along with trying to keep my 2 and 4 yr old entertained I have been making sure I am finding time for myself to do what I love. Reading!! 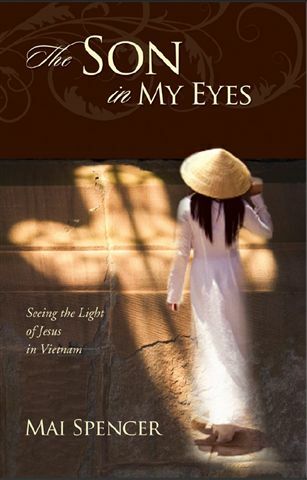 Recently I was given the chance to read the bookThe Son in My Eyes: Seeing the Light of Jesus in Vietnam. If you have looked over the books that I have read so far in the 50 book pledge you will clearly see there is an array of books that I read. However, this is the first time I have read a Christian book. I am always looking for great books to read and many times I find if you do not open yourself up to all types you might miss out on something fabulous . This book I have to say is one of those books. I am sure I am not alone with having heard stories about the Vietnam war, but it was always from the point of view of someone in the western hemisphere. The Son In My Eyes allows you to understand what life was like for a Vietnamese girl growing up and her journey through life. 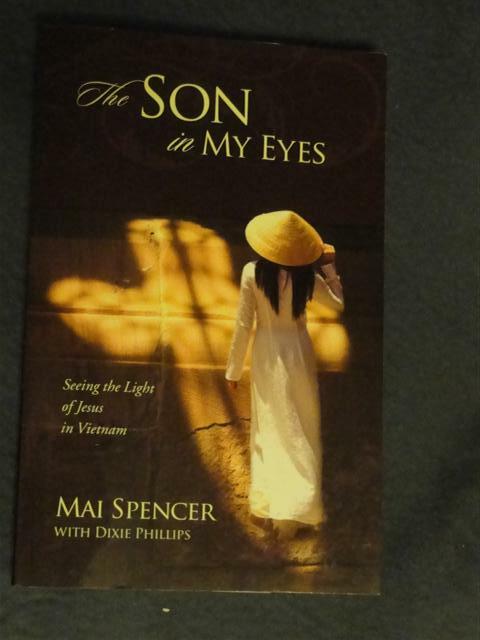 This book is told in the words of Mai Spencer with Dixie Philips and takes you through her journey of life and how her life started as a Vietnamese girl who grew up worshipping Buddha as she followed her family traditions and then showing how Christ had always been a part of her life and how she changed once she realized this. This book is a clear inspiration for everyone. There is no question at all that Mai was blessed with many things in her life. Even with all of the hardships and loss that she has had to deal with it is refreshing to see how her point of view is. For many of us we will probably not go through much of what she has in her life. However, it does not mean that the road is any easier. Though this book helps you realize that no matter the road you will always be able to see the light and it truly gives us all hope! You can purchase this book at Deep River Books for only $14.99. This has been one of my top books I have read this summer and I definitely recommend getting a copy. Disclosure: I received no monetary compensation for this post. I did receive the book for review purposes. All thoughts and opinions are 100% mine. As a former special ed teacher who has worked with autistic childeren, I was more than happy to review Lonely Girl, Gracious God by Lauri Khodabandehloo, but I wasn’t expecting anything earth shattering. I’ve read and heard many stories of autism, and I didn’t expect this one to be very different. Well, Lonely Girl, Gracious God surprised me.Almost right from the start, Lauri’s brutally honest writing gripped me. She doesn’t gloss over anything. The highest of highs and the lowest of lows – including feelings of guilt, despair, and devastation – are put out there for the reader without hesitation and with an amazingly reflective attention to detail. If you enjoy reading parenting blogs, my guess is that you will really like reading this book. I am fascinated by the windows that blogs provide into other people’s families, regardless of how their parenting style might differ from mine. Lonely Girl, Gracious God offers a similar kind of window. It is a powerful memoir that will stay with you long after you finish reading it. This book is categorized as an inspirational book – and with Lauri’s perseverance and faith running as an undercurrent throughout the story – that label certainly fits; but it is far from being sugary sweet. This author, who has contributed stories to the Chicken Soup for the Soul books, is definitely not afraid to share the gritty details of trying desperately to balance raising four children with a stressed marriage and an autistic daughter. I have a very special place in my heart for children and families that have special needs, but even without that predisposition, I know that the strong dichotomous themes of tragedy and triumph, despair and hope, and hardship and miracle would have touched me deeply. I couldn’t put this book down over the course of a four day vacation, and I recommend it to anyone who has a special interest in autism or Christianity, but also to any mama out there who can identify with highs, lows, and constant surprises of parenting. 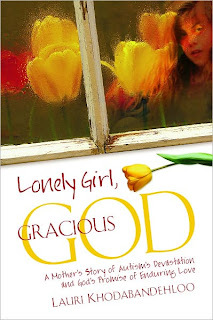 You can buy Lonely Girl, Gracious God on Amazon for $11.89. for review from sponsor but all opinions expressed are that of the reviewer. Author of The Place of Belonging has a new website with a book trailer!! click photo to go to her website!! Author Betsy Haid has a new website!! click photo to see her website! "When I say we LOVED this book, that is a huge understatement!" said this blogger about a new Children's book!! Review done by The Jacobsen Family! I've got another amazing children's book to share with you! 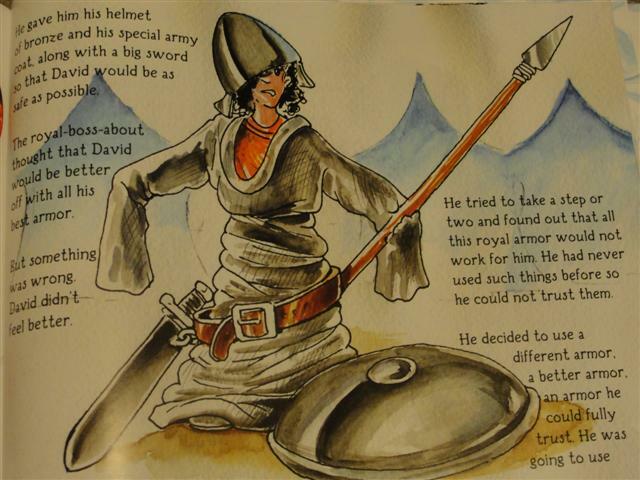 Many of us have heard the Bible story about David and Goliath, and many books have been written re-telling the story. But never have I read it told like this. 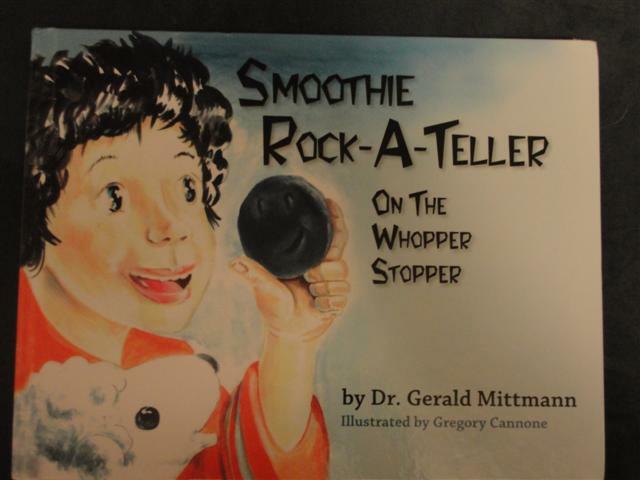 "Smoothie Rock-A-Teller on the Whopper Story" by Dr. Gerald Mittmann tells the story of David and Goliath, but from the perspective of the rock that David used to slay Goliath with! Are you intrigued yet? When I first got the book, I discovered it was much longer than I had expected; 52 pages broken up into 5 chapters. While I knew this wouldn't be a problem for my 7 year old, I worried that it may be too long for my 5 and 3 year old to sit through. We didn't get past the first page before I realized it wasn't going to be a problem; they were hooked! Because this is written from a different perspective, it was almost as if my kids were hearing an entirely new story all together. The way it is written is fun and draws you in, and the illustrations are amazing as well! More than once my son commented on how much he loved specific pictures on the pages (kudos to illustrator Gregory Cannone). Not only does this story tell about David and Goliath, but it begins by telling about how God created everything by merely speaking, and explained that God is working with us and shaping us into who He desires us to be. It reminds us that if God is with us, who can stand against us? It is written in a way that makes sense to kids, and makes it fun too. One example: Being a rock, Smoothie uses different words than we do. He calls birds "Tweeter-flappers". "Some call them 'birds'. But what kind of a name is that? 'Birds?' Nope. Tweeter-flappers are what they are. They tweet and flap and flap and tweet." Every time I read the funny names Smoothie had for different things, my kids laughed and laughed! Another neat thing about this book is that is a devotional of sorts. 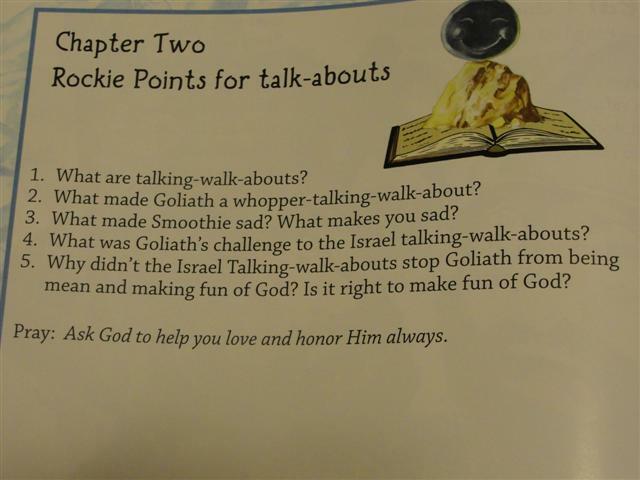 At the end of each chapter, there are review questions as well as a prayer suggestion relating to that chapter. This was good, as it got my children thinking more about the morals of the story and how God can work with them, just as he did with young David and little Smoothie. I have to be honest and tell you that I cried when reading this book... More than once. I took it to church and showed some of the Sunday School teachers, as well as other moms and grandmas, and they teared up as well. It is such a great book, and a wonderful reminder of what faith in God and trusting in Him can accomplish! When I say we loved, Loved, LOVED this book, that is a huge understatement. My kids picked it up after I had already read it to them and read it again. When my mom came over for dinner that night, they asked her to read it to them. 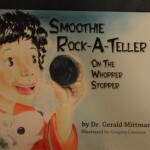 We absolutelyrecommend this book, and I am beyond excited to tell you that the author, Dr. Gerald Mittmann, has even more Rock-A-Teller books that are coming soon! We cannot wait! Buy It: This book is one you must add to your children's book collection!! Smoothie Rock-A-Teller can be purchased online at the Deep River Bookstore for $13.99. In all honesty, are you equipped to handle the trials of life? Every day we experience challenges and give so much of ourselves away. Whether we give as a woman, a friend, a spouse, or a mother, those pieces of ourselves belong to others when the day comes to an end and our head hits our pillow. Jobs demand more time, our doctors want to schedule another appointment, we have grocery shopping to do, tasks from lists to cross off, and somewhere in between there we must make time to feed our families, pay bills, craft, and make sure that we have a shower at least every-other-day. Some of that *might* be a bit exaggerated, but is it really? Do you look back at times and ever feel overwhelmed from all of the hats we wear? Do you put on a smile, and begrudgingly go through your day like nothing is the matter? I do! Sometimes I just want to run off and hide in a room (Sometimes I’d even settle a white padded one with no sharp corners, just to take a moment to collect my thoughts.) But y’all know me. I’m not too picky. We are challenged by so many aspects of life. There are times I’m sure you have felt physically and emotionally drained, as I have. Sometimes we might even experience tribulations resulting from spreading ourselves too thin. I’m not perfect, and I have had more problems arise from walking that tight rope of doing everything for everyone, rather than being there to support them. In all honesty, are we equipped to handle these trials of life? Do you feel like you just want to go hide and come out when everything is better, or do you duck out when it is time to confront what is bothering you? Are you equipped to handle situations that try to get the best of you? All of these topics are covered in one way or another through 6 chapters total. Chapter 1- What Do You Believe? Chapter 2- Who Are You? Chapter 3- Where Are You Going? Chapter 4- How Do You Believe? Chapter 5- Who Saves You? Chapter 6- How Do You Fight? One of the biggest things that stuck out to me about the book was "know means no." Through this book, Valerie teaches women that knowing, believing, and wearing the truths you KNOW will help you say no to the lies and deceptions that my present themselves to you. Saying No to being a nobody because you know and believe. Saying no to quitting because with God all things are possible. And for those who feel powerless, being able to say NO to powerlessness because the devil must flee because with God you can resist him. So, live your life based on truth which can help you be equipped with the ability to say no because you know. When you put on your "belt of truth" on the inside by living what you know, people will see someone who is grounded in beliefs and confident with themselves. as a way to take notice and apply the principles to my daily life. I could stop and remember a chapter or two I read and apply it to what was happening in my life at the time. I was able to talk with my Nuderma about what I was reading, and it made me feel a bit better that I had someone to speak with about it. "In order for you to strongly stand, you will need to have the sword in your hand!" This refers to what we are taking into battle. Battles of everyday life. Be armed and you will be ready. I might read more books by Valerie Ellery. Besides the book cover, which is appropriately outfitted with a shield, I liked what I read. I don't typically read Inspirational or Motivational books, but at this time in my life...this book helped me deal with some family issues we are enduring. I didn't think I would like the book since I lean more towards Fiction novels, but was surprised with what I was able to notice about my life, and changes that need to be made. I haven't began going to church, but I have decided to stay strong in my beliefs so that they may not waver under pressure. This is extremely evident during this next month while we have a few things happening. If you are interested in motivational books, I would recommend this book to you. If you have a friend, colleague or family member who is a female and likes motivational books, I would suggest this for them. If you need something to help you strengthen your mind, and soul I think you might like this book. We are told to pray without ceasing, specifically “Rejoice always; pray without ceasing; in everythinggive thanks; for this is God’s will for you in Christ Jesus.” (1 Thessalonians 5:16-18), I thought this was something everyone strived for, I thought I was someone who did this. After reading The Son In My Eyes by Mai Spencer I have found I have so much more to learn. I was first introduced to Mai’s story as a poor Buddhist girl in Vietnam, her life there during the Vietnam war, and subsequent life in America as the wife of a U.S. soldier as just another book review. My father had served as part of the 101st Airborne in Vietnam during the height of the war and it is a time and place which has so profoundly affected his life that I had wanted to read Mai’s story to try and understand a little of what he had seen during this time. You see my father never speaks of Vietnam. Sure he will make flippant remarks here and there but it is never any real story, you never hear about the real people. The ones like Mai, that had to live in the middle, that suffered before and after the war because of their own country’s policies. Mai recounts with amazing memory her years as a young Vietnamese girl and the things she had to do to survive. After she meets and leaves Vietnam with Dennis Spencer her American husband, she feels called to help her native people. She endures trial after trial and eventually answers God’s call which she has been hearing all her life but never knew it. This a heartbreaking, yet poignant tale of how we as humans can endure so much yet God never is far from us whether we know him or not. Mai has had it all and gave it all away to follow her Lord, she has lost 3 children but has worked tirelessly for all children in Vietnam. Throughout her story, Mai uses scripture to point us to God’s goodness in her life. Even before she knew him she has recognized his love and has passed that onto others by introducing them to Christ and by being a step on their journey to know the Lord. As Mai’s tale takes us back to Vietnam where God first touched her heart, we see he is using her to do his good works there. As founder with her husband Dennis of Jesus In Vietnam Ministries, Mai works tirelessly for her Savior and the heart of Vietnam. I really enjoyed this book, it broke my heart to see all that this woman has endured but I rejoiced as she did with the blessings God has given her. I truly understand what it means to pray without ceasing and to rejoice in all things. Perhaps God’s mercies come with pain, tears, and suffering for without it we may miss his love. You can find this book at Deep River Books, retail price is $14.99. Disclaimer: I received a free copy of this book from Bring It On! Communications for review purposes. I received no other compensation for this review. All opinions are my own. This book was worth my time and worth it's place on my bookshelf!! Awhile back a company called Bring it On Communications contacted me, inviting me to review a book for them. I was a teensy bit hesitant because A. It's not like I have a lot of extra time for reading and B. Non-fiction isn't exactly my favorite thing to read. However, I've been meaning to branch out on my reading habits -and this seemed a good opportunity. The description of the book they wanted me review intrigued me. It's a historical narrative of the Native Americans living in the Northwest corner of our country, and their conversions to Christianity. The description included the fact that these Tribes had received revelation of the coming of white men who would teach them more about "He-Who-Made-Us." From an LDS perspective, which is my perspective, I was just too curious. The book itself seemed a little less about the specific revelations to the Native Americans, and more about the general history of their interactions with the White People. Although, by the end of the book, God's hand in spreading Biblical teachings to his people is revealed. I did find it pretty interesting, and the fact that it could hold my interest for 350 pages says something about the writer's talent.. Overall, worth my time, and worth it's place on my bookshelf. Come read this heart-wrenching story of a mother's love, endurance and sacrifice. Lonely Girl, Gracious God, by Lauri Khodabandehloo, is the heartwrenching story of a mother's love, endurance, and sacrifice and the bond between a family and a loved one with special needs. From the beginning, Lauri sensed something was different about her fourth daughter, Farema. She would make excuses for Farema's odd behavior - her lack of eye contact, her dislike of physical contact, her inability or refusal to talk. Lauri so badly wanted Farema to be normal and to be like her older sisters, yet Farema was not. And Lauri could not rid herself of the feeling that something was not quite right. This books chronicles Lauri's struggle as she fought to accept Farema's differences and the long road that eventually led to Farema's diagnosis with autism. Autism is fairly well known these days, but this was not the case back in the 80's when Lauri's daughter was young. There were many misconceptions about autism, including that it was caused by "Refrigerator Mother: a genuine lack of maternal warmth." This thought understandably horrified her, as Lauri was the farthest thing from unloving. This is just one of the examples in which Lauri opens up her heart and shares her story with intriguing honesty. She writes about her desire and constant efforts to keep her daughter engaged with friendships and activities. From the highs (when Farema found her perfect fit with ice skating and later her own job) to the lows ("the veins" and night terrors and hallucinations), the obvious love and devotion Lauri has for her daughter is evident on every page of this book. This book really moved me and I found myself in tears more than once as I read it. I could sense the anguish and love as Lauri poured out her family's story, along with her own journey of self reflection and growth in her walk with the Lord. Her testimony of how the Lord is always faithful no matter how difficult things become is inspiring. This book will touch something in every mother's heart and is truly a story worth reading. Disclaimer: Thanks to Arielle from Bring it On Communications for providing me with this book to read and review. This was not a paid post and the opinions are solely my own and were not influenced by the sponsor. 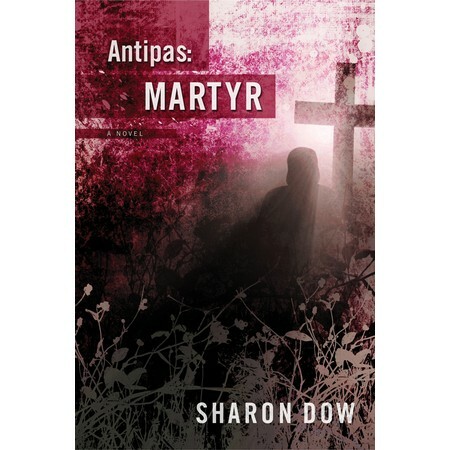 "Since reading this book I've been curious to learn more..." on Antipas:Martyr by Sharon Dow. Sharon Dow has been a teacher and principal for many years. It's been her lifelong dream to write and publish books. This is her first novel. Dow has combined history and fiction to create the story of Antipas, a young boy living in Pergamum, the capital of Asia and center of Roman emperor worship. The story begins as Antipas comes 'of age' and begins to rebel against his father's expectations that he will be trained in Rome and follow the religion of Zeus. Rejected by his family, Antipas finds himself having to fend for himself for the first time. His is certainly not an easy path, and it appears that he has taken up with the wrong people, as matters continue to worsen. Eventually he meets Epaphras who teaches him about Christ and introduces him to Paul. Under Paul's guidance Antipas witnesses many miracles, marries and has a child. There are still many trials to be faced though, as Antipas follows God's will even through the worst persecution. I thoroughly enjoyed the first chapters of Antipas: Marytr, when Antipas was young and learning his way in life. After these action-packed chapters, I felt the later part, when Antipas began to study under Paul, was a bit slow. Since reading this book I've been curious to learn more about the real Antipas in the Bible. I would recommend this book to anyone who enjoys reading historical fiction. If you want to spend some time, really getting into the characters, give it a try. If you read it, please let me know. I'd love to hear your thoughts. 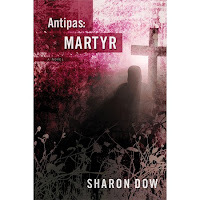 You can order Antipas: Martyr at Amazon or Deep River Books. The Son In My Eyes is an intriguing story of Mai, a young Buddhist girl who survived the Vietnam war. Mai shares the hardships and abuse she endured while helping to support her family at the young age of 8. She not only felt terrorized by the American government while dodging bombs in the jungle. But also by Vietnam's own militia, the Viet Cong, who were responsible for the deaths of two of her uncles. Mai had her own near death experience when she was directly exposed to Agent Orange. Mai's life changed when she married a young American solider named Dennis and moved to the United States. But sadly tragedy still followed her. It wasn't until one of her daughters was diagnosed with Cancer that Mai fell on her knees and prayed to Jesus for the first time. Almost immediately her life was transformed into something beautiful. It wasn't that the trials had left, but Mai began to see that placing her trust in Jesus could bring the peace that she had been longing for. Even though she didn't know the Lord as a young girl, Mai could see that Jesus had been with her for her entire life. Shortly after Mai's conversion as a Christian, her husband Dennis committed his life to Christ. Mai never forgot her hometown of Binh Chau, and felt a deeper burden for her countrymen that they would also have the opportunity to know this wonderful Savior. Through a lot of hard work and prayers, and once again coming against obstacles from the government of Vietnam, Mai succeeded and built her church! Mai's story is one of hope, love and forgiveness. When she knew she couldn't go on, she found a Savior with whom she could cast her burdens on. Mai's story is heartfelt and inspiring as she shares her testimony of how God teaches her to forgive her past and let go of bitterness. Her desire to reach others is very compelling. I was also impressed with her humility. She takes no credit for the things she has been able to accomplish through Jesus Christ, but she points to the one who gave her the ability. Although Mai doesn't give herself the credit, she is a Missionary for our Lord. This book is really fast paced. Every page felt like a new adventure and I couldn't stop reading once I started. It seems surreal that one person could go through so much. But it is also exciting to know that no matter what walk of life we come from, Jesus is waiting for us all! I know you will be inspired by Mai's story, and will be encouraged to take that leap of faith for yourself. I highly recommend you read "The Son In My Eyes"! 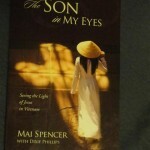 You can get your own copy of Mai's book The Son In My Eyes at Deep River Books for $14.99. Nan Allen, author of Watercolor Summer, will be at booth 1138 for a book signing in ten minutes! If you like to read inspiring true stories...this book is for you! It’s no secret: I LOVE to read. Even when I was little, I’d read the backs of cereal boxes, shampoo bottles, anything with words that I could get my hands on. That being said, I never really did a lot of reading of what you might call Christian books, until recently. After doing the book review for Lonely Girl, Gracious God, I was asked to review a couple more books. I have to say I was pretty excited to get some new reading material in the mail just in time for some summer reading. I chose The Son in My Eyes: Seeing the Light of Jesus in Vietnam because part of the book takes place in Vietnam during the Vietnam War, and it’s a topic that I am not as familiar with as I feel I should be, so I was interested. The Son in My Eyes is a 285 page true story written by Mai Spencer with help from Dixie Phillips. The book details Mai’s life growing up in Vietnam during the war, worshipping Buddha just as generations of her family had, and how Christ slowly changed her heart and her life. Growing up Mai faced numerous challenges due to poverty, abuse, and the war going on around her. Many were unimaginable to me, living here in the United States at present time. Her ability to overcome each obstacle was inspiring as I read her story. Not only that, but I was able to get a glimpse of life in Vietnam, learning a little about their culture and beliefs. For instance, when Mai was a girl women were not allowed back in the family home for a certain number of days after giving birth; it was thought that they were unclean. I can’t imagine separating a mother from her family at that time, a time when a family should be celebrating and pulling together. Being one of the oldest children in her family, Mai worked extremely hard to help support her family; she had no time to be a child. After moving away from her family she met an American soldier, whom she later married. She and Dennis eventually moved to the United States. At that time she received a Bible written in Vietnamese. Mai compared this to God planting a seed, which was “watered” over many years, leading her to choose Christ as her savior. Mai’s life in America was still faced with hardships; she had three children die in the course of the book. She never blamed these tragedies on God, as so many people are tempted to do. Even more inspiring, to me, was that she was actually thankful that God had brought her home early from one of her visits to Vietnam so she was home when her son died. One thing I liked in the book was how Mai talked about the “little prayers” she would say and then how they were often answered. I believe that God is always listening, and there is no prayer that is too big or too small. 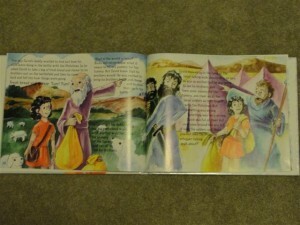 Mai incorporates many Bible passages in her book. At times I felt like they overpowered her story a little, although I understood her desire to share God’s word. Mai’s faith in the Lord is so strong that she gave up a successful business to create Jesus in Vietnam Ministries with her husband. If you like to read inspiring true stories on how Christ has changed lives, this book is for you. You can find it at Amazon for less than the list price of $14.99, or at Deep River Books. *I received a free copy of this book from Bring It On! Communications for review purposes. I was not monetarily compensated in any way for this review. All opinions are my own. This blogger would love to just say, "Wow! Now you read it!" but that won't suffice. Yesterday, David Eller was an American Missionary in Caracas, Venezuela. Today, he’s an international fugitive. David and his wife Christie rescue impoverished children in the slums of Venezuela. But for David, that’s not enough. The supply of homeless children is endless because of the corrupt policies of the Venezuelan government. When the CIA offers David a once-in-a-lifetime opportunity to play a key role in a “bloodless” coup, he decides to go for it. But little by little, he falls into an unimaginable web of deceit that ends in a desperate, life-or-death gamble to flee the country with his wife and son, with all the resources of a corrupt dictatorship at their heels. This is one of those books where I’d love to just say “Wow! Now you read it!” but that won’t suffice. 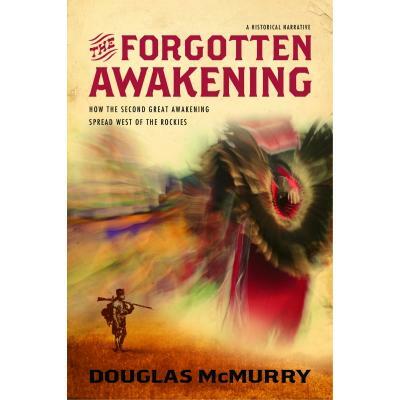 From page 1 I was hooked – this is a fast paced novel about David, his wife and their young son who are missionaries. 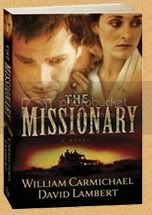 I’ve written before on my heart pull for mission trips and for now I satisfy my thirst by reading about missionaries, both fictional and non-fiction. I also enjoy a good suspense/espionage and I’m glad that their are Christian choices for that as I find I can no longer read those written for the secular community. The elderly couple who founded the mission relies on God and their faith isn’t shaken – I think that comes with their age and having gone through fire to get where they are. However, David, is a younger man with a wife and child and trying to do what he thinks is best – his faith gets shaken and built stronger. The book is hard to put down especially once David realizes that what he’s done endangers everything he and others believe in, even his own faith. I read this in one day and am so glad that I did as I would have been on pins and needles to find out what was going on with the characters inside the covers of a book that shows the inner struggles that missionaries could go through as they are met by temptations. With lots of twists and turns, some expected some not so expected – this book will have readers, both Christian and non-Christian, flipping the pages long into the night. I felt like I really got to know the Eller’s and got caught up in their plight of wanting to do what’s right, having choices go south and then fighting for freedom and justice and ultimately forgiveness. Please don’t take my word for it though, this book is a great must read and it makes some wonderful faith building words. To read more reviews like this one, go to: Tell Us The Truth Reviews. **I received this book from Bring It On! Communications, in exchange for my honest review – no other compensation was given. I recommend this book for anyone ages 13-113! !